In this psalm David takes refuge in God from those who pursue him. 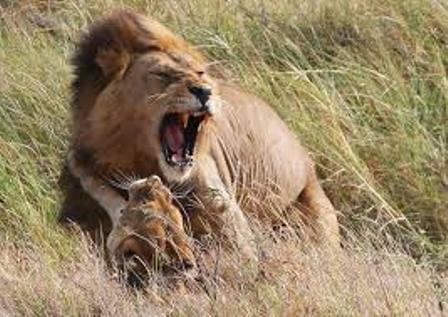 His pursuers are graphically depicted as a ravenous lion seeking to tear his life to pieces and drag him away (vv. 1-2). This “pursuit,” however, may be understood as metap horical, in light of verses 3-5, and David is actually facing a trial of false accusation. Thus in verse 1 David cries for deliverance, but in verses 3-5 he prays that if he is indeed guilty of “this”—the following clauses appear as a list of things he is accused of—then let the enemy triumph over him and trample his life into the ground. In this way David protests his innocence against the false charges brought against him, and cries out for deliverance on the basis of this innocence. Verse 6, again recalling the prayer of Numbers 10:35 (cf. 3:7), is an appeal to God to rise up and execute judgement in his favour. He longs for a solemn assembly with the people gathered around God who is exalted above them, and seated as a judge in his court. For the Lord is a judge, says David, and again he asks for vindication on the basis of his innocence, “according to my righteousness and my integrity that is in me” (v. 8). His prayer is that the righteous God would judge righteously, putting an end to the wicked while establishing the righteous (9). Confidence in his own innocence, and confident in the righteousness of God, David confesses his trust that God is his shield and thus his saviour (10-11). Verses 12-16 portray the judgement that will befall the wicked if they do not repent. The imagery used of God comes from the military: his sword is sharpened, his weapons prepared, his bow ready with flaming arrows (12-13). The text does not actually say he uses the weapons, however, and verses 14-16 suggest a historical form of judgement in which the evil one prepares for others, returns upon one’s own head. The one who digs a pit for another will fall into it; their mischief and violence will come down on their own head. The final verse of the psalm is a dedication or vow of praise. It is noteworthy that David at this point has not yet been vindicated, and indeed may never be vindicated from the accusations hurled at him. Nonetheless, assured of his own innocence, and trusting in God as his refuge, the anxiety with which the psalm began finds a resolution, not in actual deliverance from the trial, but in assurance of God’s care and vindication. There are several points of theological interest in this psalm. The first concerns the identity and person of God. The twin petitions with which the psalm opens are addressed to “O Lord my God.” David’s God is the Lord, a righteous God and a righteous judge who tests the hearts and minds of all, and sits in judgement over the people—including David, vindicating the righteous and holding the wicked accountable for their deeds. God tests the hearts to distinguish the violent and deceitful from those who walk with integrity. The final words of the psalm are not only the climax of the psalmist’s vow of praise, but a description of the divine identity: Lord Most High. This use of the divine name recalls Melchizedek’s blessing of Abram in Genesis 14:19, in the name of God Most High, possessor of heaven and earth. The psalm asks, therefore, not only what kind of world we live in, but whose world we live in, and so provides an insight into the primary context in which our existence takes place: this is God’s world. Evil eventually functions like a boomerang, bringing back upon its perpetrators the wickedness planned for others. and there is a sense in which the boomerang of human evil may be identified with the “sword” and “fiery shafts” of divine judgement; God was primed to act against the unrepentant sinner, but the nature of his action was simply to direct the consequences of evil away from the innocent and turn them back upon the perpetrators. This raises two important questions, however. First, experience suggests that justice is not fully done in this life: some seem to escape the justice their deeds deserve, while others’ apparent innocence or goodness goes without vindication or reward. Judgement within the parameters of history does not always appear. Although this psalm does not raise or address this question, elsewhere in the Bible it is plain to see that God’s role as judge transcends the bounds of history. Numerous passages, especially in the New Testament, depict a final judgement when God’s justice will be fully realised. This subject is deeply unpopular or even frightening in some circles, but this psalm will not allow us to ignore or marginalise the idea of divine judgement. The New Testament certainly deepens our understanding of the subject, and causes us to consider divine judgement through a christological lens. Nevertheless, the spectre of a final judgement remains as an inescapable feature of human existence understood in biblical terms. Second, is anyone actually righteous? What are we to make of David’s bold claims of righteousness in this psalm? Probably we should understand them not as a claim of perfect sinlessness or absolute righteousness, but as a protestation of innocence in the face of the particular accusations hurled against him by his adversaries. What hope, then, do any of us have if God indeed is a righteous judge, testing the hearts and minds of all people? Who, possibly, could stand unblemished in his presence? Nevertheless there is hope. Judgement is prepared against those who do not repent (v. 12), whereas God saves the upright in heart, and blesses those who take refuge in him (v. 1; cf. 2:12; 5:11). The upright in heart acknowledge the righteousness of God and God’s claim on their lives, and turn to God for mercy and salvation. I have bought Metaxas to read it, and have heard that it is not an unbiased biography. This review is especially pointed. For links to other critical reviews go here. Which Bonhoeffer biography would you recommend? There has been some controversy in recent weeks about the way this word gets used, including a call that it be banned with reference to women and girls. Dictionary.com illuminates the word with some interesting historical insights. I did not know that cows were called bossy. I have heard them called Bessy, and I guess the latter is a derivation from the former. I am interested to see that a common contemporary use of “boss” echoes a mid-eighteenth century usage where it meant mastery of something. My son-in-law uses it often like that: “He is the Boss (= he is the Best).” When it comes to playing guitar, for example, I reckon my son-in-law is The Boss (apologies to Bruce Springsteen). The heroes of my adolescence were in town and on the news all last week. 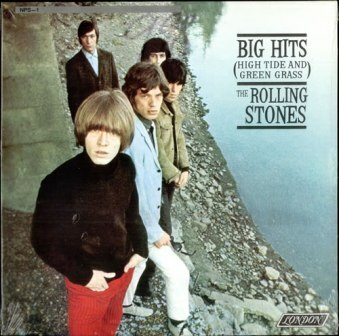 I was introduced to the Stones when I was about eight or nine years old and my elder brother came home with “Top of the Pops 1969.” Tracks I remember include the Beatles Ob-La-Di, CCR Green River, Elvis In the Ghetto, Thunderclap Newman Something in the Air, Peter Sarstedt Where Do You Go To My Lovely? and The Archies Sugar, Sugar. My favourite track was probably Elvis in those days, but I was intrigued by the cowbell at the start of Honky Tonk Women. Soon after my brother bought High Tide and Green Grass and I was hooked—on the music, not the grass—I always wondered, in those days, what on earth the title meant. Nevertheless, Little Red Rooster, Satisfaction, Get Off of My Cloud, As Tears Go By, Paint it Black…somehow the music worked its way into my soul. As did the band. This week, of course, has been tragic for them, for Mick Jagger particularly. The death of his long time partner L’Wren Scott has rocked his world, not in the usual sense. I have read a fair bit of the coverage and came across a quote which led me to an old New York Times Magazine article. Speaking, at that time, about his relationship with L’Wren, Mick said, “I don’t really subscribe to a completely normal view of what relationships should be,” he says. “I have a bit more of a bohemian view.” We probably all know what he means. But I was interested. Recently, in our Christian Worldview class, we watched a short segment on early English Bohemians from Alain De Botton’s Status Anxiety. He toured Charleston, the home of the “Bloomsbury Group” in the 1920 and 30s who experimented with new forms of lifestyle. 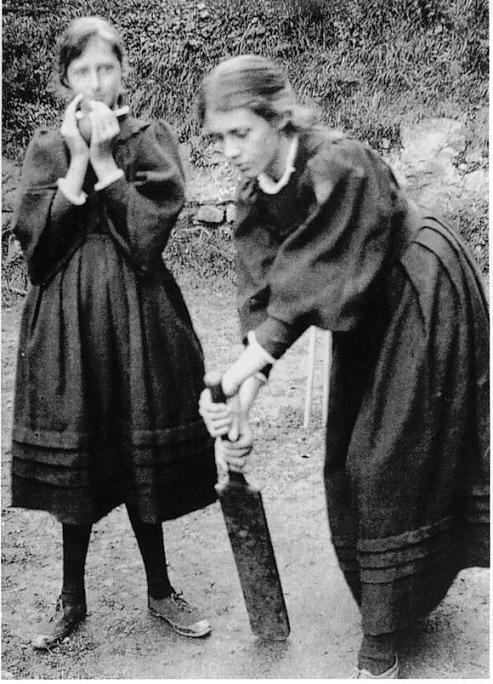 It was the home of author and artist Vanessa Bell, sister of Virginia Woolf. De Botton describes Bohemia as “a way of looking at the world; Bohemia is not a place, it is a state of mind. And what that state of mind boils down to is a sense of independence and freedom, a commitment to live by your own values.” He suggests that it was a “secular replacement for Christianity in a time when Christianity was waning.” It provided a spiritual rather than material way of evaluating ourselves. De Botton’s explanation is both helpful and unhelpful. He is helpful when describing the Bohemian state of mind, and correct in identifying it as “secular.” He is less than helpful in describing Bohemia as “spiritual.” He uses the term in contrast to material or external modes of thought, and thereby emphasises the internal motivations and disposition of those who practice a Bohemian lifestyle. We should note that this kind of interiority has nothing to do with biblical forms of spirituality. When Paul speaks of those who are “spiritual” (e.g. 1 Corinthians 2:15), he invariably means those whose lives are under the influence and direction of the Holy Spirit. This, of course, is utterly distinct from a self-generated sense of independence and freedom, or a commitment to live by one’s own values. What do you think: Are we all Bohemians now? In many ways Virginia Nicholson is right: we are all bohemians now, those of us, at least, who live in western liberal democracies. Perhaps not to the extent of the Bloomsbury Group or Mick Jagger, but bohemian nonetheless. Bohemian values have gone mainstream, so that our culture too, believes in truth, true living and true loving, so long as this is understood as being true to oneself. The sexual and interpersonal experimentation that lay close to the centre of the Bloomsbury experiment is widespread and accepted today, encouraged as a means of personal fulfilment and discovery. The self has become the centre of value. Perhaps Nicholson’s most telling phrase is “giving themselves a sense of validation.” Bohemia was indeed a secular replacement for Christianity, though not in the way De Botton thinks. At the heart of Christian faith is justification, freely offered on the basis of the saving death of Jesus. This is divine validation given by God to those who turn to God through Jesus Christ in humble and repentant faith. To be justified is to be forgiven, accepted by and restored to God, and granted a new status before God and all creation. Justification addresses the deepest and most fundamental of human needs: right relationship with God, and then consequently, with self and with others. That Bohemians would seek to validate themselves is indicative of the depth of this sense of need in the human psyche. The bourgeoisie and the Bohemians both sought validation, the bourgeoisie through their respectability, the Bohemians through their defiance of respectability. In both cases their sense of validation was self-grounded and culturally supported. In many ways their choice of life was a variation on the same theme: the all-too-human attempt to justify ourselves and so to free ourselves from God. Christians too, can fall into this trap, substituting some kind of self-validation for the validation that comes only from God. They might align with the bourgeoisie and seek their validation in respectability, or perhaps they reject the values of the bourgeois culture and practice a form of life they hope will bring the divine tick of approval. Both approaches will ultimately fail; our only hope of genuine freedom and authenticity is seek our justification in Christ alone. Yet whatever gain I had, these I have come to regard as loss because of Christ. More than that, I regard everything as loss because of the surpassing value of knowing Christ Jesus my Lord. For his sake I have suffered the loss of all things, and I regard them as rubbish, in order that I may gain Christ and be found in him, not having a righteousness of my own that comes from the law, but one that comes through faith in Christ, the righteousness from God based on faith. Alain De Botton, Status Anxiety, ABC DVD 2004. The segment begins at 14:32 in episode 3. Start earlier if you want to watch his interviews at a nudist colony. Don’t say I didn’t warn you! The early church categorised Psalm 6 as one of seven “Penitential” psalms, and sung it in worship on Ash Wednesday. Apart from the first verse it is not really a psalm of penitence, but a desperate cry for help, a prayer for healing in the midst of life-threatening illness. David’s illness has reduced him to weariness, perhaps even to a place where his prayer is no more than a moan accompanied by tears. Some might say it is not prayer at all; others would say it is the truest kind of prayer. c) Vv. 6b-10 … 10 strophes, no petitions. The first verse may be interpreted in several ways. Perhaps David understands his sickness as sent by God, a direct result of God’s displeasure, and so pleads for God to relinquish his anger. Or perhaps he thinks that his illness is something allowed by God, and so pleads that God not be angry with him for requesting its removal. Either way he seeks a gracious rather than an angry God. This becomes explicit in verse two: Be gracious to me O Lord … Heal me, O Lord. Verses 2-3 speak of his bones and his soul being dismayed. It is perhaps better to think of this as two ways of saying “my whole being,” rather than a focus on inner being and outward being. To the very depths of his being, and in the totality of his being, David is greatly dismayed. Verses 4-5 show why: his illness has brought him to the brink of death, and so his cry is a desperate plea to God for rescue, for salvation, for deliverance. But you, O Lord—how long? Return, O Lord! Jürgen Moltmann has rightly emphasised that suffering occurs on multiple levels: the physical suffering occasioned by illness, violence or oppression, and the spiritual suffering that arises from the sense that in our suffering, we have been abandoned by a God who does not care. David’s words are a plaintive cry that God “return.” He is convinced that God does indeed care, and appeals to his covenant love. Yet it is evident that he must pray day after day and night after night, drowning his couch with his tears: the answer has not come immediately. But the answer does come at some point, according verses 8-10, where David’s desperate faith becomes defiant faith. 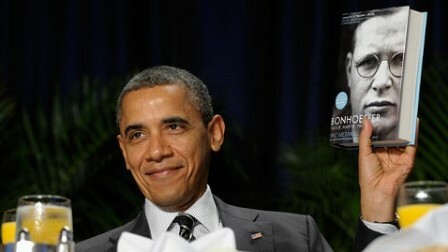 His enemies, perhaps taking advantage of his illness, undermine his leadership and add to his grief. Has David been healed, or at least turned a corner so that he is on the road to recovery? It is impossible to know with any certainty. The past tenses in verses 8b-9a indicate that his confidence that his prayer is heard, but the future tenses in verse 10 suggest that he is still looking forward to recovery and vindication. The Lord has “returned” and so his enemies will be “turned back.” He is no longer dismayed, but his enemies will be dismayed. He may not yet have been healed, but his prayer has opened a vision of victory. This is not a manufactured confidence, but a confidence grounded in the covenant love of God and received in a prayer that persists in the face of doubt and anxiety, and waits for the light of hope. There are two echoes of this psalm in the New Testament. First, in John 12:27 Jesus says, “Now my soul has become troubled; and what shall I say, ‘Father, save me from this hour?’ But for this purpose I came to this hour.” This appears to be an echo of verse 3-4, but whereas David cries to be saved from the hour of his death, Jesus accepts the prospect of impending death as the very purpose of his coming. Craigie rightly notes that we “perceive the pathos of the psalm most clearly when it is read in the context of the passion” (96). (Kidner, Psalms 1-72 (TOTC), 61-62). David cries out for deliverance from this devastating reality of Sheol; Jesus embraces it—and opens a way beyond it for those who come to him, and take up the way of the kingdom. At this point the second New Testament echo of this psalm becomes relevant. In Matthew 7:23 Jesus, echoing verse 8, says, “Depart from me, all you who do iniquity.” Jesus’ embrace of the cross and of death and hell opens up the promise and way of resurrection, a hope beyond the hopes of David. But it is a hope for those who cling to him and choose the way of the kingdom. Thus this psalm speaks to us at several levels of meaning. First, as a psalm dealing with the pathos of sickness and mortality, it reminds us of the certainty of coming death, and the brevity and fragility of life. Given modern medical advances and western cultural mores, it is often difficult for us to enter into the depths of David’s dismay at illness and the prospect of death – the hope of resurrection to eternal life in the presence of God had not yet emerged in Hebrew thought. Yet, our culture clings to life and youth with a desperation that betrays our casual dismissal of this awful reality. The psalm also reminds us of the suffering of those who are ill, and calls us to compassion and prayer, that the sick are not left alone in their suffering. But, set within a broader biblical context, this psalm also preaches the gospel, that there is indeed hope and healing for those who trust in Christ. Here’s a couple of sites I found interesting or fun. 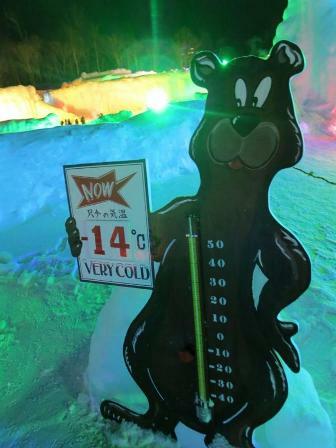 As a Perth lad, I simply cannot imagine the kind of cold that makes for a Japanese Ice Waterfall Festival. The question of the historical Adam continues to heat up. Alister McGrath gives a sound-byte version of his understanding of the historicity or otherwise of Adam and Eve. John Piper insists that Adam must be understood as a historical person created by God, otherwise the Adam – Christ analogy in Romans 5 utterly collapses. Peter Enns disagrees, and John Walton gives a sound-byte version of how to understand Genesis 1. One of our students, Mark Beadle, posted this on the Vose Students’ Facebook page. I hope you enjoy it as much as I did. 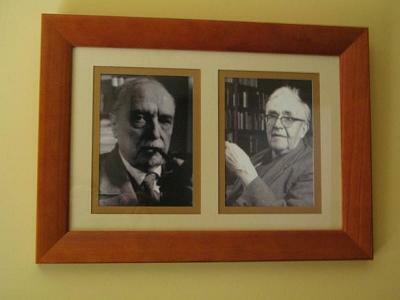 Gunkel, Bultmann and Barth walk into a bar. Barth orders a club sandwich. Gunkel says: “I can tell by the form of this narrative that this is a joke. By definition then nothing here is real. Bultmann then orders a glass of wine. The next night Gunkel, Bultmann and Barth walk into a bar. Bultmann buys a bottle of wine and pours himself a glass. Barth orders the chicken schnitzel and salad. He receives a large serve and when he has had enough he orders a doggy bag for the rest. 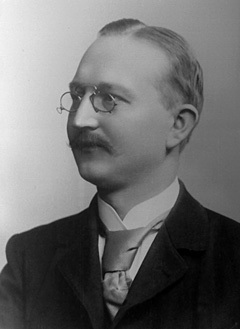 By the last day of the Berlin Theological Conference of 1929 Barth observed that he had put on a few pounds (that is not uncommon at this type of gathering), Bultmann had a hangover (but could not understand why) and Gunkel was looking poorly and thin. The first couple of times I studied this psalm I identified the theme as “the righteous and the wicked”—a theme not uncommon in the psalms. But perhaps I was overly hasty; now I see more of the holiness and mercy of God. What do you see as the theme of this psalm? The psalm begins in verses 1-3 with a plaintive, urgent cry to God for help. Like Psalm 3, this seems to be a morning prayer (v. 3), and the psalmist, with inner groaning and outer cries, dedicates himself to prayer. Verses 4-8 reveal the psalmist’s confidence that his prayer will be heard. This section is more about the character of God than that of the wicked. God is holy and takes no pleasure in wickedness; no evil dwells with God. 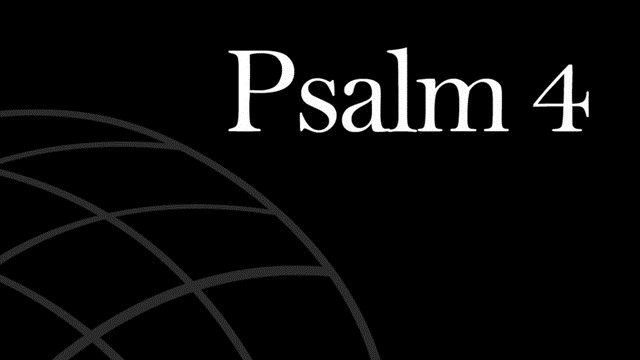 The psalmist details what constitutes evil: boastfulness (pride?) and falsehood, bloodshed and deceit. Indeed the language here is troubling: God “hates” all who do iniquity, “abhors” those who speak falsely. We ought not blunt the force of this language, but neither should we regard it as univocal, taking it with the kind of literalness that treats it in isolation from the rest of the Bible. Certainly the text speaks of God’s uncompromising holiness, and his active disposition against all forms of pride, deceit and violence. Nevertheless it must be read in the light of other more central texts which proclaim the primacy of the divine loving and the divine mercy. God must be understood christologically, as the one who in Christ, loves all the world—see my very first post on this blog! The psalmist cries out, “But as for me…” (v. 7). Although the ascriptions of authorship in the psalms are not necessarily reliable (e.g. see verse 7: is David the author, seeing the temple was not in existence during his lifetime? ), if the psalm does originate with David, we see also the mercy and lovingkindness of God, for David was a man who shed much blood, and trafficked in deceit, at least in the case of Uriah (see 2 Samuel 11). By his own account he has no right or place in the presence of God. Yet, by the abundant grace and mercy of God, there he is! I am reminded of a chorus we used to sing: Only by grace may we enter; only by grace can we stand. The psalmist dedicates himself to bow in reverence before God. He prays for God’s guidance, that he might walk in God’s ways (v. 8). In verses 9-10 the psalmist’s foes come into view, and we hear now the content of his prayer: that God would judge them and cast them out. The language here is reminiscent of Psalm 1:5 where judgement is also portrayed in terms of collapse and expulsion. The depiction of the foes in verse 9 finds echo in the New Testament in Jesus’ teaching that an evil heart issues in evil words and brings forth evil fruit (cf. Matthew 12:33-35), and in Romans 3:13 where Paul argues that all of us are sinners in need of the redemption that is in Christ. In a final paean of praise, the psalmist celebrates the steadfast goodness and protection of God. These verses (11-12) recall Psalm 2:12 “Blessed are all those who take refuge in him.” Those who take refuge in God may rejoice, for God is their shelter and shield. More than anything, this psalm focuses on who God is: Lord and Judge, holy, merciful and good. The psalmist addresses God as “My King and my God” (v. 2). But it also exhorts God’s people and calls them to a similar dedication: As for me! Just as the king bowed in reverence before the King, so too may we enter God’s house and bow in reverence. So too may we rejoice in God and pray, especially that God would lead us in his righteousness, and make his way straight before us. Blessed are all those who take refuge in him! If Psalm 3 is a morning prayer, Psalm 4 can be read as an evening prayer. Further, just as Psalm 3 provides some insight into David the leader, so Psalm 4 does likewise, if Davidic authorship is accepted. In some sense, then, these two psalms may be read together, and perhaps, have been brought together in the Psalter for this reason. The first verse opens the psalm with a passion-filled fourfold petition. Most English versions render the second phrase as “You have given me relief.” There is some scholarly debate about the correct interpretation of the Hebrew verb here, and Craigie translates the phrase as, “When I am in distress, give me room.” This seems to fit the verse better than the English translations which place a confession of relief in the midst of two desperate pleas. In Craigie’s translation, the whole verse is one sustained cry to God for help. In fact, it is stronger than that; the psalmist is telling God what to do: Answer me! Give me room! Be gracious to me! Hear my prayer! What has happened to arouse this desperate cry to God? Some indication of David’s circumstances is found in verses 2 and 6a: David’s reputation is under assault, his leadership is questioned, his honour has been turned into shame. Although we do not know exactly what has occasioned this reversal of his fortunes leading to humiliation, some scholars suggest that the nation is facing difficulties and David is being blamed. Lies, vain words and empty rumours circulate. Indeed many are saying, “Who will show us some good?” Perhaps God’s goodness has departed and they want to see the leader replaced. Politics has not changed much over the millennia! In the face of this trouble and false accusation David protests his innocence: “Answer me when I call, O God of my right.” He reminds himself—and his accusers—of the Lord’s protection. Verse 3 is beautiful: “But know that the Lord has set apart the godly for himself; the Lord hears when I call to him.” David’s confidence is not grounded in himself, his strategic ability, his military prowess, or anything else belonging to him. His confidence is confidence in God, confidence grounded in God’s call and God’s faithfulness. The God who called and anointed him will also sustain and keep him. Remember: the Lord sets apart the godly for himself, and listens to me when I call to him. In 6b David returns to petition, echoing the words of the priestly blessing in Numbers 6:26: “Let the light of your face shine upon us, O Lord!” (Compare also verse 1: “Be gracious to me!”) David is still telling God what to do! Craigie sees the petition continuing in verse 7 which he translates as “Put more joy in my heart…” It is worth noting that David is not praying for the destruction of these enemies, or for his own vindication. He prays rather that the light of God’s presence might shine upon all, and that his heart would be filled with joy. In so doing he comes to a place of peace and, trusting in God’s protection, is able to lie down to sleep (verse 8). Being the object of blame is difficult enough when we are in fact blameworthy; suffering blame and false accusation when we are in fact innocent of the charges is hurtful, stressful and demoralising. Faced with such distressing circumstances, the psalmist prays through to a place of peace. Prays through. Now that is the language of old-timers in the faith! It refers to the persistence in prayer that holds fast to the biblical promises, which wrestles with all the fears, anxieties and doubts that are faced, until one-by-one they are brought under the reign of God’s peace. 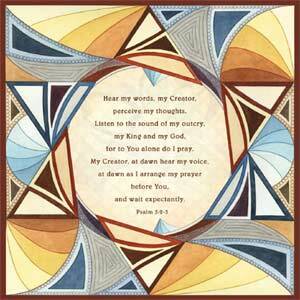 In this psalm David’s prayer is both urgent and bold. Whence cometh this kind of boldness in prayer that dares to tell God what to do? What is the difference between this boldness in prayer and an unholy arrogance that presumes to tell God what to do? David’s boldness is born of a long association with God in prayer, devotion and worship, and apart from this association could be nothing but presumption. There is a knowledge of God which comes through study; there is also a knowledge of God which grows through association, fellowship, obedience, and interaction. David knew the Lord, trusted God, relied on his promise in Scripture, claimed it and prayed it, and rested in the faithfulness of the God who had called, chosen and set him apart. Sure that he was in the Lord’s safe-keeping, he laid down in peace and slept. The prayer has not—yet!—made any discernible difference to his circumstances—in the morning all the enemies will still be there. But having brought his concerns and processed his stress in prayer, David goes to sleep a peaceful man. I wrote a short exposition of this psalm and its historical setting for yesterday’s post. There we noted that this is a devotional psalm, a morning prayer to entrust ourselves and our day to God in faith, trust and commitment. But there remains more to be said. We noted the possibility that David sent the ark back to Jerusalem because he refused to presume on God’s grace and call, or to co-opt God for his own cause. Hidden in this narrative is a lesson for leaders, for Christian leaders are continually tempted to presume on the legitimacy and righteousness of their cause. Humbled, David allowed God to establish his position and cause – on this occasion, at least. Yet David also obviously believed in God’s grace, and believed that God’s presence was with him even without the ark, and even in spite of the sin which had brought such terrible consequences into his life and family. When all around suggested that God had abandoned him, David continued to trust. The narrative in 2 Samuel indicates that one of the means by which the Lord sustained David was via the great grace of faithful companions – not everyone around him was an enemy, and these friends could not help but be a means of support and encouragement for David. David also acted, taking pragmatic steps in addition to his prayer. In 2 Samuel 15:31 David prayed that the Lord would turn the counsel of Ahithophel into foolishness. In verse 34 he sent his servant Hushai as a spy to thwart the counsel of Ahithophel. David’s act is not a sign of lack of trust in the God toward whom he had just prayed. Prayer often gives rise to corresponding action; divine wisdom often supplies a strategy. Salvation is of the Lord, but God often uses various means to accomplish his purpose or answer our prayers. “The horse is prepared for the day of battle, but victory belongs to the Lord” (Proverbs 21:31). This proverb, echoing the words of the psalm, shows that faith is not simply passive or inactive; a person of faith prays and trusts, and on the basis of that prayer and trust also works, the works being the fruit and evidence of the faith. Without divine grace and help, without the divine presence and blessing, there can be no victory, no matter how well dressed the horse and rider are. Nevertheless, although victory is of the Lord, there are still preparations to be made. So in the morning we awake and we pray, calling upon the Lord for his help, protection, guidance and blessing, committing our day and our very life into his care, in accordance with his purpose. And then we go to work, trusting in the One to whom we have prayed, who also is our shield and salvation, our glory, and the lifter of our head. Read Psalm 3 and, for some additional background, 2 Samuel 15:13-37. The title of the psalm locates its origin in a particular event in David’s life: his son Absalom has raised a coup against his father, and David and his companions flee from Jerusalem lest they be killed. David leaves weeping and barefooted, his head covered as though with shame (2 Sam 15:30). This is another incident in the terrible consequences which have befallen David in the aftermath of his adultery with Bathsheba and his consequent conspiracy to murder Uriah her husband. Perhaps God has deserted David, perhaps his blessing has departed? But – and this is critical – David refuses to allow the ark to accompany him. The ark was the symbol of God’s presence in the midst of Israel’s battle, the pledge of God fighting on behalf on his people – see the battle cry of Numbers 10:35-36. Rather, he sends the ark, Zadok the priest, and the Levites back into Jerusalem in an unreserved commitment of his life and future into God’s hands (vv. 24-29). Why would David send the ark back to the camp of his enemy? Is David deserting God? The passage indicates that David hoped to hear news from Jerusalem, that the priests might function in some way as spies (vv. 32-36). But perhaps also, something deeper is going on here. Perhaps David is calling upon God to reaffirm and confirm his kingship in the light of Absalom’s challenge. David refuses to presume upon God or to co-opt God to his own cause. If David is Israel’s king, the Lord is King, and Israel is God’s people. David relinquishes his claim on the kingdom, and commits the welfare of the people into God’s hands, trusting that God has not abandoned him, nor annulled his call. With this background in mind, Psalm 3 comes alive. In verses 1-2 David lifts up his worry to God: his enemies have increased, they are rising against him, they are saying that God has deserted him, that he has no help, no deliverance, no hope in God. Verses 3-6, however, express David’s confidence in God and his repudiation of their claim: he is not forsaken by God. 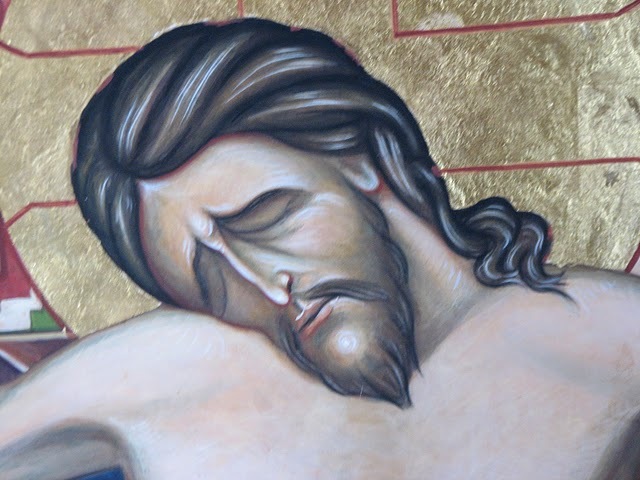 He confesses God as his shield and glory, the One who lifts up his head, now covered in shame. David is so confident in God that he can lay down and sleep, assured of God’s protection: the Lord sustains me! Verse 7 is David’s petition, recalling the battle prayer of Numbers 10, and verse 8 brings the psalm to its conclusion with the confident affirmation that salvation, deliverance, victory and blessing belong to the Lord, and the Lord will give them to his people. “The principle that is involved in this change of tone is one which is well established in the biblical literature. If one gazes too long upon the enemy and his might, the enemy grows in the mind’s eye to gigantic proportions … The hypnotic power of the enemy is broken when one turns one’s gaze toward God, who is able to fight and grant victory” (73). 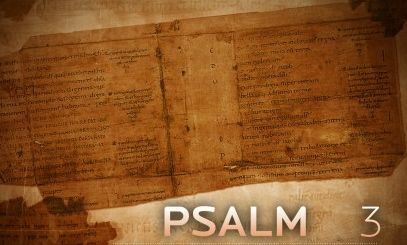 Thus the psalm is a devotional psalm, a prayer of trust, faith and commitment. Kidner refers to it as an “evening prayer” (TOTC, 54), whereas Craigie more correctly I think, calls it a “morning prayer” (70; see verse 5 “I lay down and slept; I awoke“). The Lord has sustained us through the night and brought us safely to a new day, a day nevertheless, in which we face fresh challenges and opportunities, troubles, enemies and battles. Thus, we pray, and call on God to arise, and entrust ourselves to the One who is truly our glory and the lifter of our head, the source of all salvation, deliverance and help and blessing. I wonder what might happen if we prayed this prayer each morning this week, committing our day and ourself to the Lord, and asking his help?